Adreannia Donaldson, 29, was charged in the crash that killed a 1-year-old girl who was ejected from a vehicle. 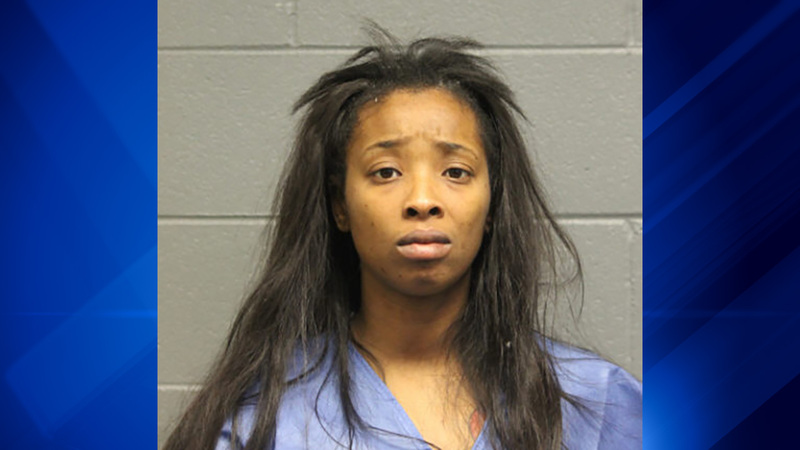 CHICAGO (WLS) -- A 29-year-old woman was charged Saturday in the fatal Lower Wacker crash that killed 1-year-old Amari Glenn, who was ejected from the vehicle that the woman was driving. Adreannia Donaldson, of Chicago, was charged with one felony count of aggravated drunken driving and four misdemeanors, including for having no insurance, no license, failure to yield and not having a child restraint for a child younger than 8 years old. At about 1 a.m. Friday, Donaldson was driving a Mazda 3 westbound in the first block of West Lower Wacker in Chicago's Loop when she made a U-turn at an intersection. She struck an Acura MDX driving east on a green light and then careened into a wall. A toddler girl, Amari Glenn, was killed when she was ejected from the Mazda. She was taken to Lurie Children's Hospital where she died shortly afterward. Amari was not in a child seat. Two women, ages 18 and 19, and two men, both 19, were inside the Acura and all declined medical treatment, police said. Donaldson and a 29-year-old man who was a passenger, were taken to Northwestern Memorial Hospital for their injuries. Investigators learned from an attending physician at Northwestern that Donaldson had signs of an unknown narcotic in her system, Chicago police said in a press release.